It’s pretty easy to get overwhelmed as you scroll through the endless stream of highly watched and highly recommended TED talks. With everything from activism to Wikipedia and everything in between, TED has become and extremely insightful and dense platform. 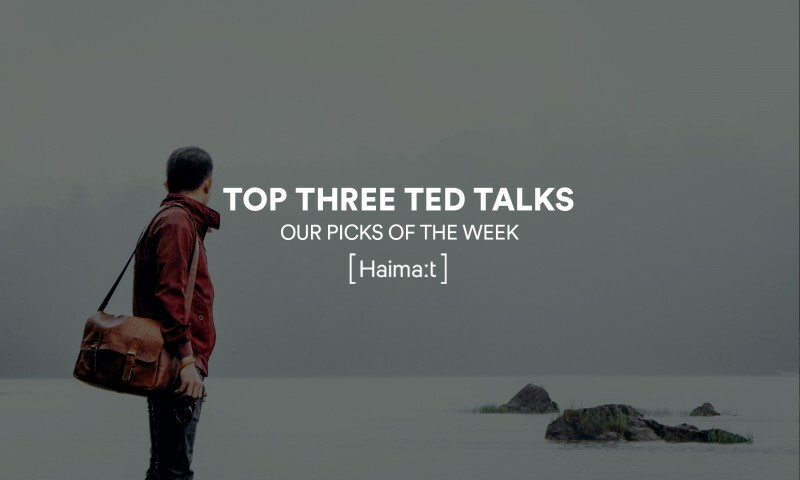 So, to add to their 100+ collections of already recommended talks, we’ve gone to the liberty of choosing our top three picks this week, which tackle everything from bad design to the beauty of stillness. A humorous insight into the sometimes unnoticed brokenness of the world around us and how exactly these issues came about because either it’s ‘not my job’ or you’re simply a selfish jerk. Enlightening, frighting and somewhat political, this talk delves into the digital divide between iOS and Android and teaches us more than you might previously have known about encryption and personal security. We’ve all heard it before, the importance of slowing down and taking a breath. Stuff happens pretty damn fast and a lot of the time, once we surmount one to-do list, it’s on to the next. So what happens when we take a few minutes out of every day, or a few days out of every season?